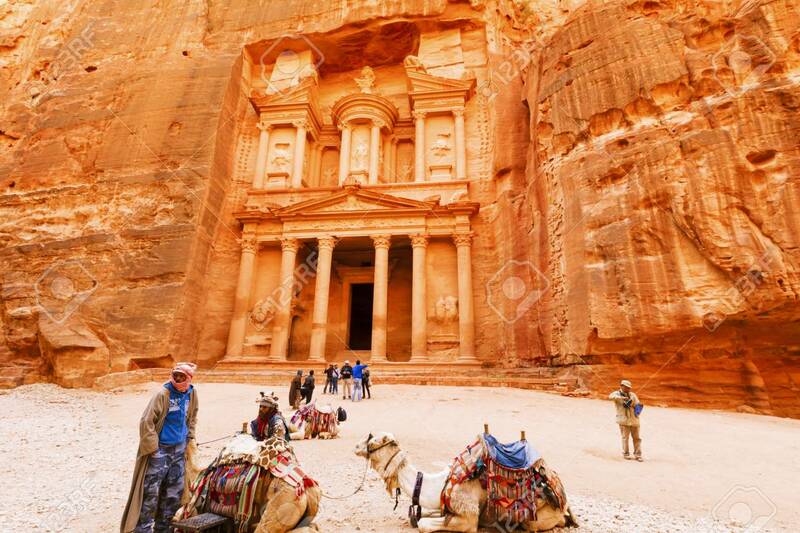 Petra, Jordan- March 16, 2017: Views Of The Lost City Of Petra.. Stock Photo, Picture And Royalty Free Image. Image 76620299. Stock Photo - Petra, Jordan- March 16, 2017: Views of the Lost City of Petra in the Jordanian desert, one of the Seven Wonders of the World. Petra, Jordan- March 16, 2017: Views of the Lost City of Petra in the Jordanian desert, one of the Seven Wonders of the World.